When two sides polarize about a change, pushing for it and against it at the same time, the change will become difficult and unmanageable. This activity demonstrates this concept and shows participants how increasing driving forces for change rather than simply removing resistance can be a positive and almost revolutionary experience. Contributed by M.K. Key, Blair Nickle, and Caroline Portis. 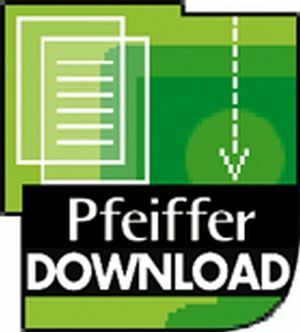 Before purchasing a Pfeiffer Download, you will need Adobe® Acrobat® Reader® Software. If you do not already have it installed on your computer, you may download this free software from the Adobe Web site at Adobe.com. All Pfeiffer Downloads that you purchase from this site will come with specific restrictions that allow Pfeiffer to protect the copyrights of its products. Just before completing your purchase, you will be prompted to accept our License Agreement. If you do not accept the parameters of this agreement, your credit card will not be charged and your order will be cancelled. ARTHUR VANGUNDY is professor of communication at the University of Oklahoma and president of VanGundy Associates, a creativity and innovation consulting firm. He is the author of eleven books including 101 Great Games & Activities (Pfeiffer, 1998) and has been interviewed for numerous publications including Business Week, Fortune Small Business, New York Times, Science Digest, Inc., Success, and US News and World Report, and has facilitated training sessions for such organizations as Hershey Foods, S.C. Johnson, Xerox, McNeil Consumer Products, Motorola, Wyeth-Ayerst Pharmaceuticals, and the Singapore government.